Fancy meeting Marq again on Ossington Street. "I'm wearing Philip Sparks knee high boots from Town Shoes. 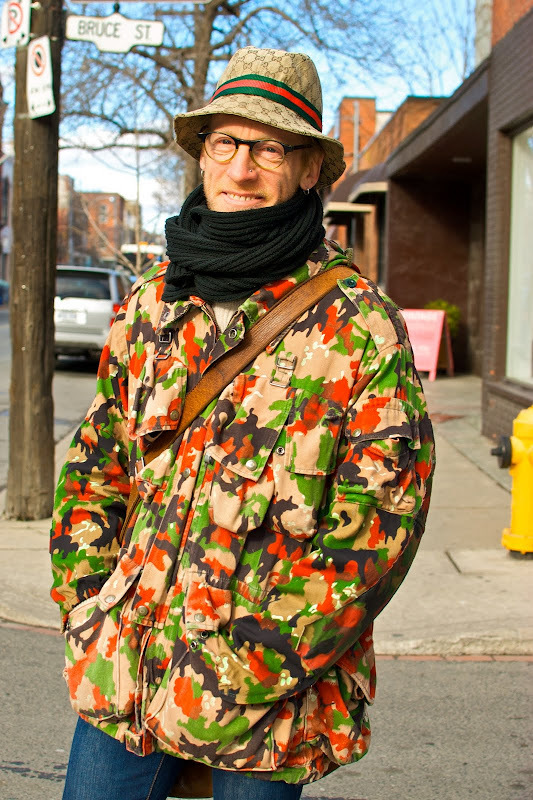 This is a Swiss Army paratrooper jacket, which I purchased at a second hand store in Kensington Market, and I picked up this Gucci hat at a vintage store on Markham Street." Boots are to die for. I want those boots! Amazing! 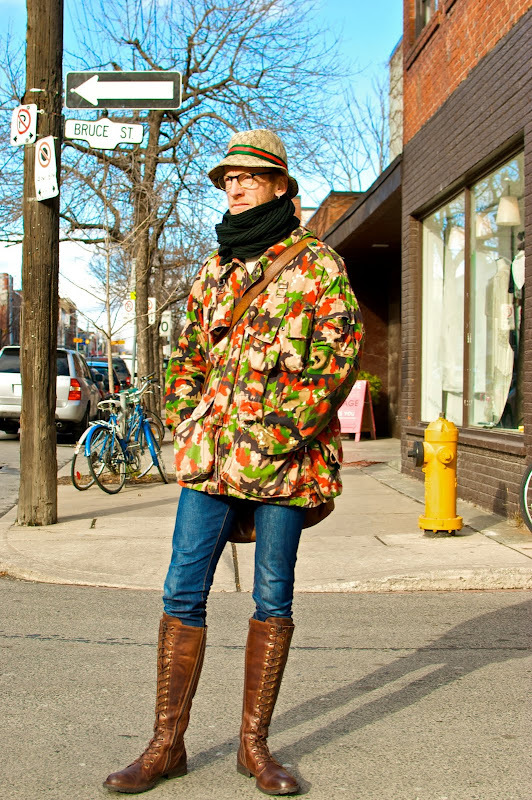 I hardly ever see people this fashionable just walking the streets in T.O! Marq always looks great!